Aside from samgyeopsal and K-dramas, clear, glowing skin are among the first things that come to mind when we think of Korea. K-beauty has revolutionized skin care as we know it, with sheet masks for every part of your body, extensive 10-step routines, and "skintertaining" products. We've even tied their strange beauty hacks like jamsu (aka dunking your freshly-made up face in ice cold water to set it), which surprisingly worked even better than expected! 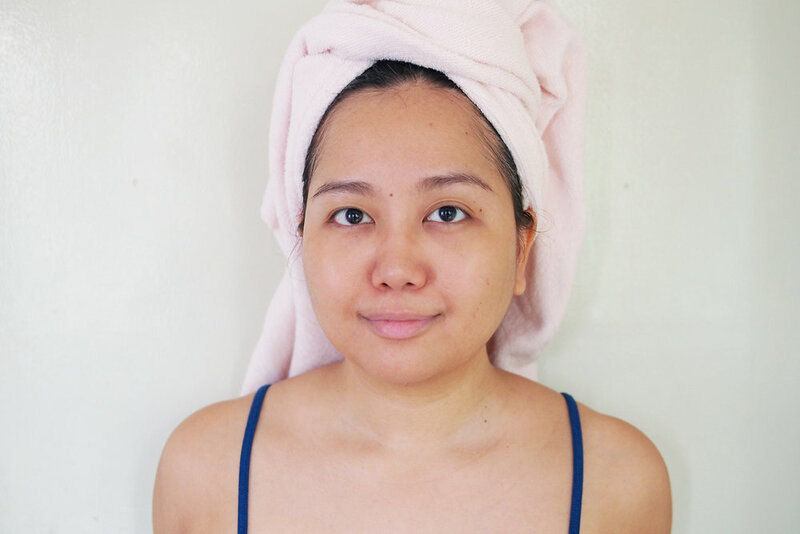 All my experiences have been great so far so when I heard about the 7-Skin Method and its promise of the most chok chok skin of your life, I immediately looked it up and tried it out! The objective is simple: to saturate the skin with as much moisture as possible, sans the heavy feeling of thick moisturizers. Even in winter or cold days, heavy formulas can feel uncomfortable and sit on the surface of your skin without really nourishing it. Wearing them in the summer feels even worse as the heat creates an icky combo of sweat and oil. Instead, K-beauty recommends using a different product: skin. "Skin" is essentially the Korean term for "toner". In this technique, you're supposed to apply seven layers of "skin" after cleansing! Sounds like a lot but that's pretty much the idea. You start with patting on the first three layers to let your skin get used to the added moisture before working your way up to doing seven layers. Since the product is thin, each layer usually dries pretty quickly but you can pause in between applications to let it fully absorb before applying the next one. No real need to use a cotton for this; you can simply pour the product onto your hand and apply directly. There's no hard and fast rule that you even need to reach the full 7 layers; pay attention to what your skin tells you. If your skin gets its needed moisture at only four or five layers, then it's okay to stop there. It is recommended to apply a light moisturizer (occlusive) after to seal the moisture in but you can skip it if your skin is not terribly dry. An important reminder before trying this technique: check that your toner is alcohol-free, otherwise it can actually increase the dryness of your face instead. Hydrating toners or hybrids like essence toners and skin lotions are the best for the job but again, look at the ingredients list to be sure. For this test, I used the Origins Original Skin Essence Lotion with Dual Ferment Complex (~P1,600 at Origins Counters) and the Whamisa Deep Rich Organic Flowers Toner (P1,320 via Althea Korea). I used the Origins toner for the first week and the Whamisa toner for the second week. I applied seven layers of skin at night to balance my skin but only applied three layers in the mornings (except when I did the foundation test). I also didn’t apply moisturizer after to really check for the effectivity of the 7-skin method in moisturizing my skin. The Origins Original Skin Essence Lotion with Dual Ferment Complex is an essence lotion hybrid that I thought would be perfect for the 7-skin method. I enjoyed using it because of its lightweight texture, plus the amazing scent made me feel like I’d gone to the spa for a facial. It was easily absorbed by my skin and in the first few days of usage, my skin seemed to look brighter and glowing. Unfortunately, it also started drying out. When I checked its ingredients list online, I found out that Origins actually had alcohol in it. Too late did I realize that I had to follow up with an intense moisturizer after and that I should not have applied that many layers. This was clearly a mistake on my part so while the Origins toner may not have been compatible for the 7-skin method, it still works well as a regular essence lotion. My skin did look good but multiple applications also meant that my skin became too exposed to too much alcohol. For the foundation test, I used my Shiseido Synchro Skin Foundation, which is the most matte-finish foundation in my collection. I chose to use this to test out how hydrated my skin had become. Because of the alcohol though, my nose started to peel a bit but the foundation looked good applied over the Origins toner. I tried the foundation test again the next day with a layer of moisturizer (and a significantly lower layer count of the Origins toner) and I liked the look even more! Considering that the toner I used contains alcohol, I was really surprised with it still performed pretty well and liked how my skin looked after. After the first week ended, I decided to gun for the top recommendation for use with the 7-skin method. Whamisa Organic Flowers Toner in Deep Rich comes highly recommended online for being a moisturizing toner with naturally fermented ingredients. This is evident from the slightly thicker texture, which felt a bit sticky upon application. It also has a stronger scent than that of Origins but it is still a pleasant natural spa-like scent. I loved using this toner! It made my skin look and feel plump and dewy - my skin would immediately bounce back because of all the moisture. The downside is that made my skin feel sticky, which I'm not used to because of my dry skin. I also felt that it made my skin redder than usual so I lowered my night layers to a maximum of three after doing the foundation test. YMMV so observe how your skin reacts and adjust accordingly. I did the foundation test again with the Shiseido Synchro Skin Foundation. This time, it applied easily and did not have dry patches to cling to. My skin was definitely at peak chok chok levels and didn’t look greasy even as the day wore on. It just looked dewy and glowy, which at times can be a bit too glowy in terms of what we’re used to. Overall, I’d say that the 7-skin method is truly effective for giving your skin the ultimate hydration boost. The thinner texture makes it so much easier to improve the product’s absorption. There's a bit of a trial and error in figuring how many layers you would need, and do take note that it's best not to do this method for an extended length of time. Think of it as a treatment, not quite as a daily routine. Have you tried this technique? How was your experience with it? What other toners would you recommend using?